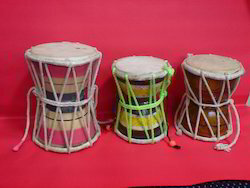 We are offering our clients Monkey Drum (Damroo). These are in small size mounted with skin. - Shiva drum damru can also be used as home décor object. - Damru made of wood and goat skin with cotton cords. 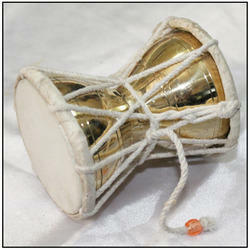 Enriched with years of experience in the industry, we are engaged in offering Handmade Musical Damru. Size: From 2" to 6"
comes in four sizes 3", 4" 5", & 6". wooden shell and leather skin fitted with ropes.